Konami, as we knew it, is done. The sooner that fact is understood, the sooner the healing process can begin. I know it’s going to be tough, but together we can bear through this. Konami was amazing. 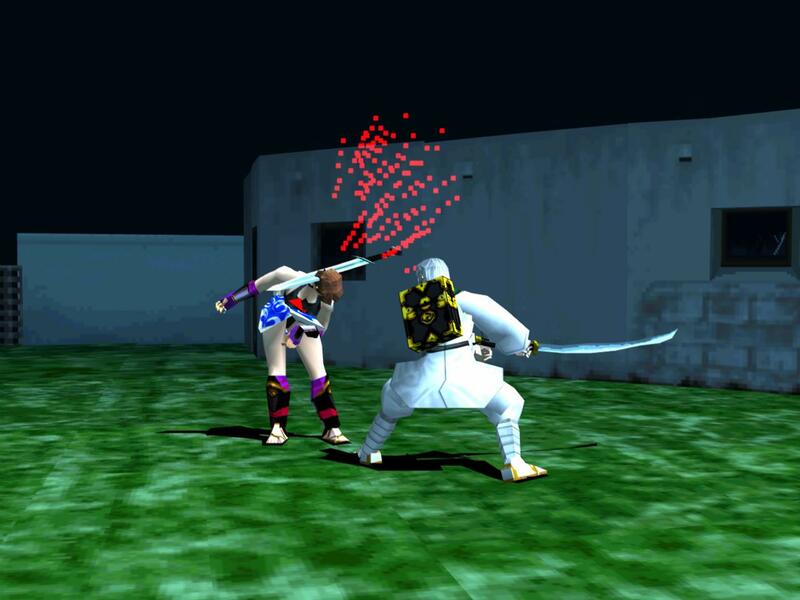 They were at the center of some of gaming’s iconic franchises over the course of 20 years. Not only did they bring Metal Gear and Silent Hill into the conversation of modern gaming’s best but they also put out the classics Frogger, Castlevania and Contra. 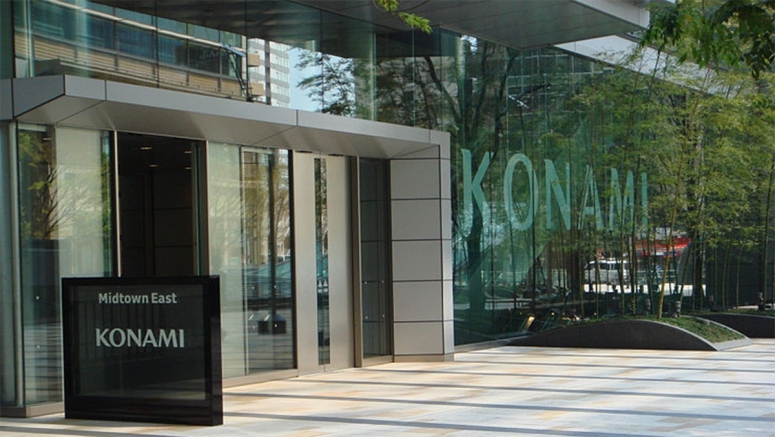 So why would a company as rich a history as Konami seem to be having a fire sale? Living through the successes of their past does not guarantee success in the future. Especially in the Video Games industry that has seen Atari go out of business just to be resurrected for the name alone, Sega unceremoniously bullied out of the console space and THQ implode around themselves, despite being on the verge of becoming a true AAA publisher. Ask yourself this, are you really surprised that this happened? In recent years, Konami’s only games that performed well enough to turn a noticeable profit have been entries into their Winning 11/Pro Evolution Soccer series and Metal Gear. But none of the entries were chart burners. 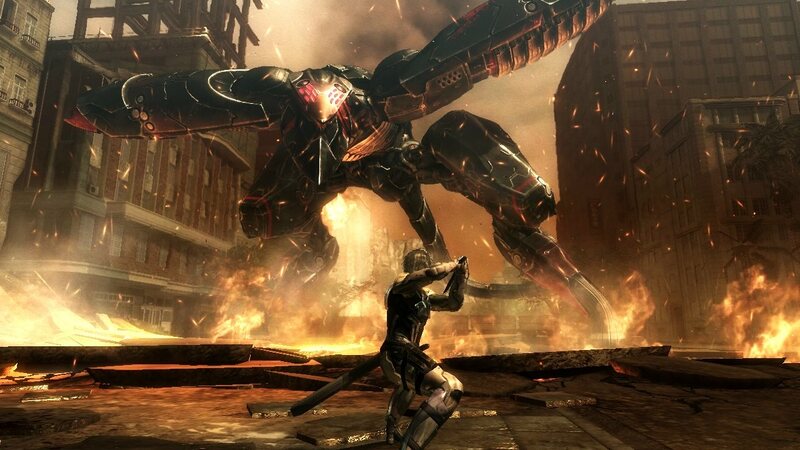 Metal Gear Rising: Revengence, the last full Metal Gear game, brought in an external developer (albeit a stellar one in Platinum) and only managed to draw 1.7 million copies in global sales across both the PlayStation 3 and Xbox 360. In contrast, the last true Metal Gear Solid title, MGS4, sold nearly 6 million copies worldwide. The brutal truth of Konami’s involvement in games development is that the sales numbers are no longer worth the massive investment it takes to properly develop games for home consoles. Letting classic franchises like Castlevania, Contra and even Hudson’s Bomberman are byproducts of Konami’s prolonged exit from the home console space. It seems that the only thread holding everything together was Metal Gear and Hideo Kojima. 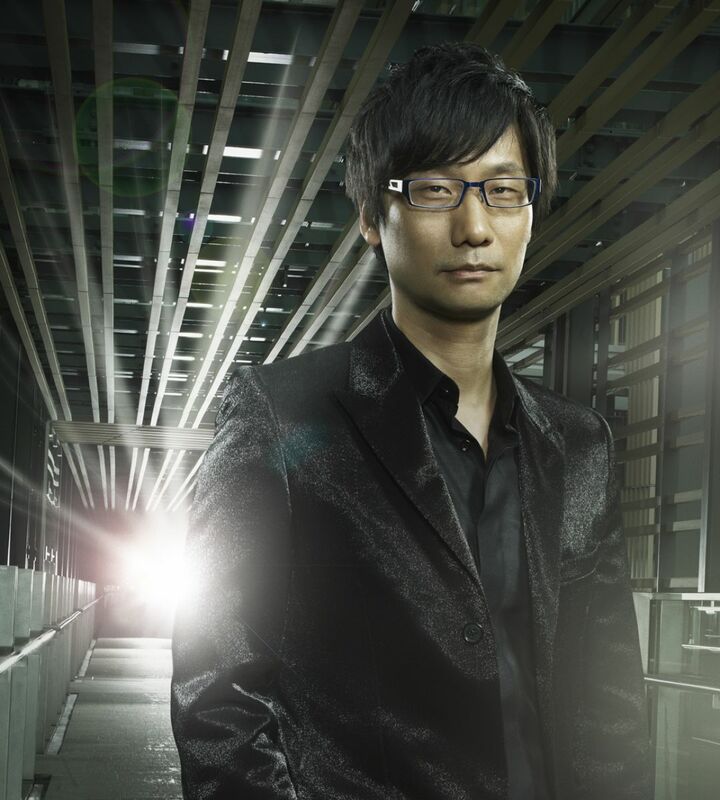 Kojima has long been a proponent of innovation, artful direction and games as a medium to rival film and television entertainment. 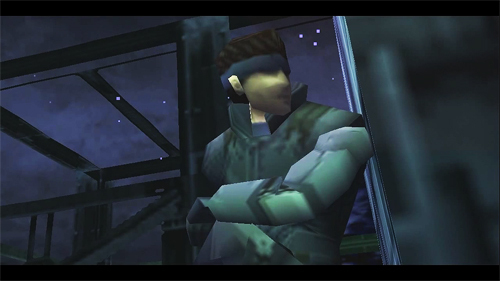 Behind Kojima Metal Gear became the mammoth property that Konami held dear and was responsible for spearheading the ambitious Silent Hills project as well as a major factor in Castlevania: Lords of Shadow. But let’s be honest. Metal Gear has become a whale in the boardroom. Producing a multi-million dollar entertainment game only increased in size as Kojima ballooned the project out to include luxury features like casting Keifer Sutherland, building their own game engine and creating the multi-SKU nightmare that was Ground Zeroes and Phantom Pain. Combined with insane publicity stunts with the infamous Joakim Mogren stunt, Kojima, while brilliant, had become a liability. The only reason why we are really noticing that Konami is unceremoniously leaving traditional gaming development is because of the ill-timed confluence of events. Kojima and Konami falling out. Metal Gear Solid V’s rocky development period. Silent Hills cancelled. Delisting themselves from the New York Stock Exchange. 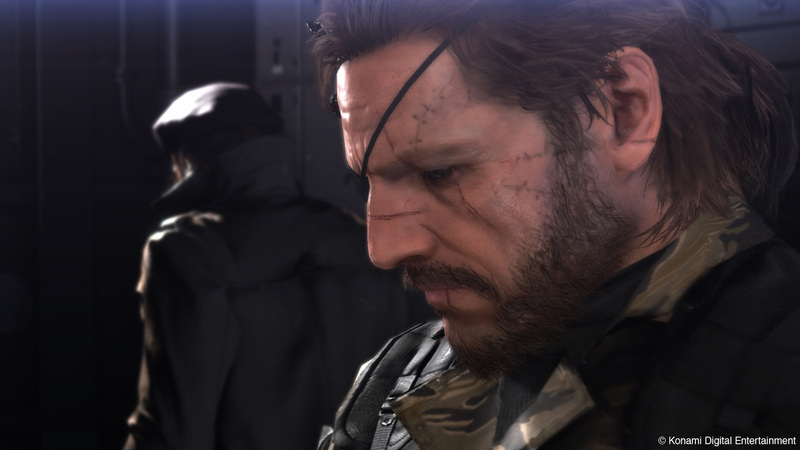 Konami no longer cares about developing games to create worlds and tell stories. They are a company, who happens to have made a few successful games. They also have health clubs. They also make pachinko machines. They also make slot machines. So when Konami CEO Hideki Hayakawa said, “Gaming has spread to a number of platforms, but at the end of the day, the platform that is always closest to us, is mobile. Mobile is where the future of gaming lies,” I am disappointed but I am not surprised. Or when the state of Nevada approves a bill that allows for gambling games of skill to be including in casinos, a move spearheaded by Konami’s gambling division president Thomas Jingoli, I am not surprised. Odds are the only chance we have at seeing a new game of Frogger is on a skill based slot machine in Vegas. But you know what, it’s okay. I am glad that Kojima is leaving Konami. He is better than what Konami is now. It is a shame that Metal Gear will not leave Konami with Kojima. After all, it was poor production and direction that kept pulling Kojima back into the Metal Gear projects. 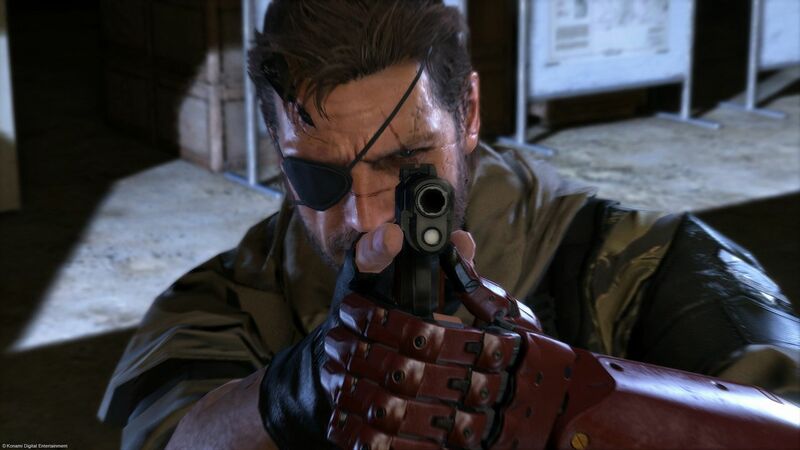 However Metal Gear Solid V performs this Fall, I’m sure it will make a ton of money for Konami. Let them relish in it. Let them lie through their teeth about it. 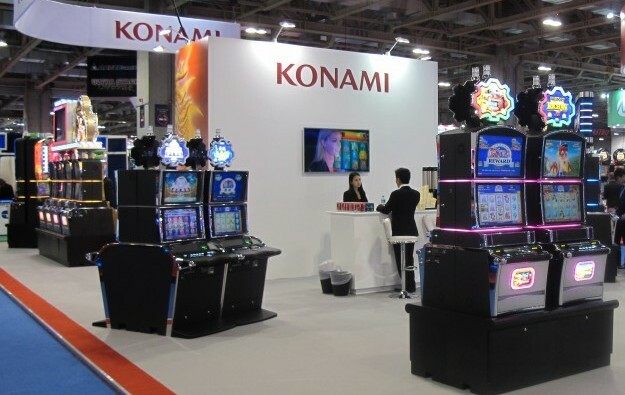 Forget about the Konami you loved. Because that Konami will be long gone after this year. 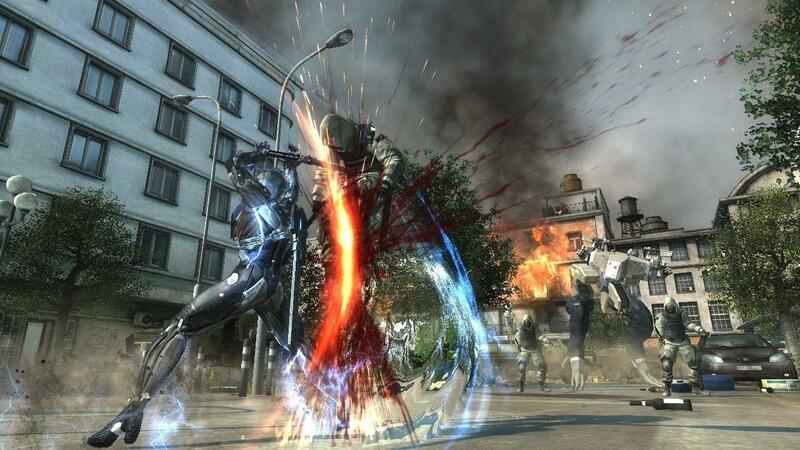 One of the hotly anticipated titles of the early year, Metal Gear Rising Revengeance is getting a price cut to $29.99. Widely revered by fans of character action games, the Platinum Games / Kojima Productions / Konami game centered around the slightly ambiguous but general badass Raiden is certainly worth the low cost of entry. 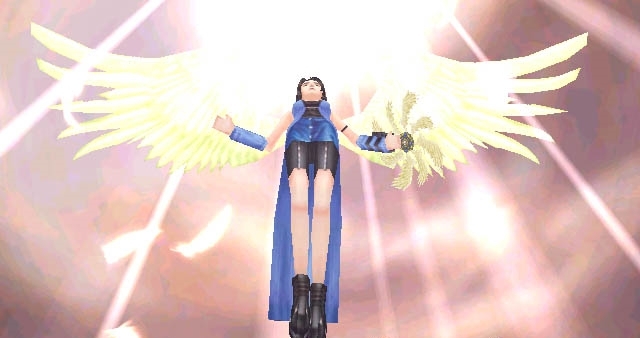 Sweetening the pot, Konami also saw to include the two DLC packages Jetstream and Blade Wolf. The two DLC packs if purchased at full price would sell for $9.99 and $6.99 respectively. As much as I want to dive into Revengeance and slice up watermelons and robots (mostly watermelons), I refuse to play it until after I complete Metal Gear Solid 4. I’ve managed to go six years without spoiling too much of the game, might as well ride it out a bit longer. Leave it to a couple of expected announcements, some really nice gameplay footage and a couple surprises to get me excited about E3 again. First off, Microsoft seems to be trying (a little too desparately) to integrate casual online functions and gaming with the Xbox 360. A bit of it was highlighted previously with the New Xbox Experience and things like 1 vs 100 Live. Now they’re adding social networking functionality via Facebook and Twitter. I think this is a novel idea and one that could potentially be a nice little feature. The Beatles Rock Band – I had heard a lot about it before and I’m already very excited about it. I love the new guitars and the idea to chronicle the Fab Four’s career. Watching it in motion is something else. Going from Liverpool to the United States, playing the various stages of their career from performing on TV, to stadiums to their LSD trip period. The Beatles looks like an incredible experience. Throw in not two part harmonization, but three and this looks like the step that the Rock Band / Guitar Hero formula needed to take. Left 4 Dead 2 – You knew it was coming, just not this fast. Coming at the end of the year, Valve is bringing the sequel to the one of my favorite games of last year, Left 4 Dead. Four new survivors (which unfortunately means no Louis…aww) take on the zombie horde at the same time as the first game, just in new cities, including French Quarter New Orleans amongst others. There’s a new focus on melee combat with weapons like baseball bats, frying pans and (yay) Chainsaws. I’m hoping for custom characters, so we’ll see. Halo ODST – The “expansion pack” has become a spin-off, and apparantly that spin-off deserves a $59.99 MSRP. Impressions from the first gameplay trailer are good, it’s still very Halo-ish. But I wonder how is one normal ODST supposed to fight the Covenant in a Master Chief like fashion, without having any Spartan abilities. I see a silenced sub-machine gun and really that’s about it. The campaign looks very good with a lot of interweaving stories including Reach and what might be the first Covenant assault on Earth. Halo Reach – Here’s the game that looks to hoist the flag as a true descendant of Halo. Reach is a story that has already been published and many know about but the teaser trailer looks to bring chaos and a massive Covenant army assaulting Earth. There also looks to be many Spartans. Excellent. Forza Motorsport 3 – The trailer looks really wonky. Choreographed stunt driving at high speeds looks all fine and good, but Forza isn’t exactly known for it’s tricks. Drifing in Forza has always been something I’ve been curious about after watching videos on YouTube so maybe there will be a bit more of a focus on that. What I can say, is that the engine has been revamped, it will run at 60 frames/sec and there will be as many as 400 cars in the next installment. Drops October. Crackdown 2 – The game that everybody bought to get into the Halo 3 Beta turned out to be not half bad. Crackdown 2 looks to have a more detailed cell-shaded engine and all the superpowers that made the first one fun. It also looks to have something more monstrous going on than taking down crime gangs. Metal Gear Solid Rising – Leave it to Hideo Kojima to steal the stage at Microsoft’s press conference. 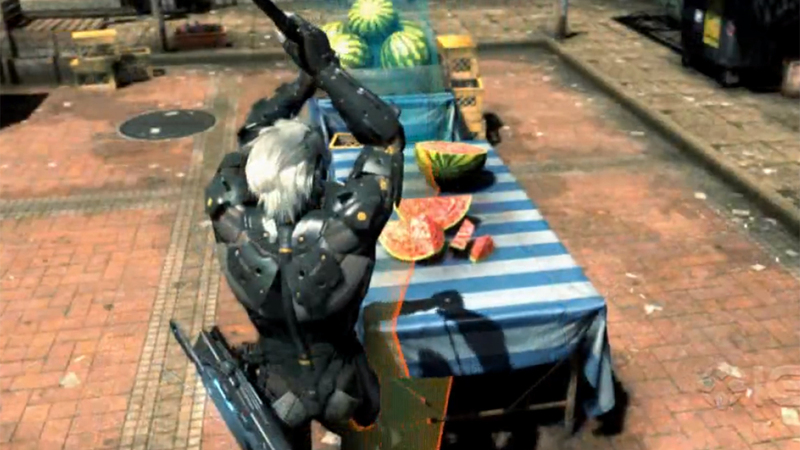 MGS Rising will be a new Metal Gear, focusing on an older Raiden. 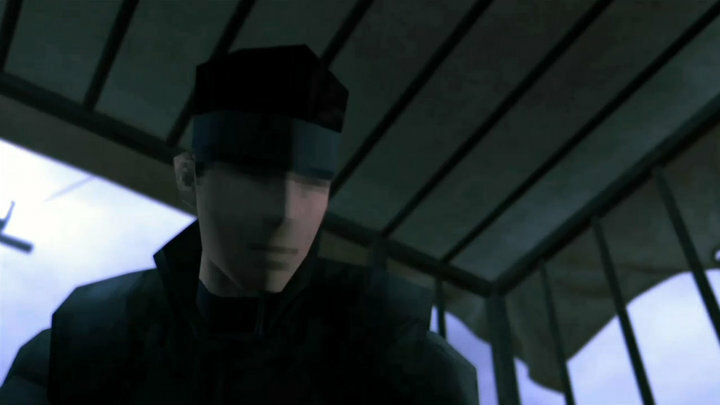 Hopefully between MGS2 and MGS4, during the time he goes rogue. I like the idea, Raiden is a much better character now than he was after MGS2. It has been anounced for 360, but Kojima is likely to announce it for PS3 later. Final Fantasy XIII – Nothing new on FFXIII yet, except a release window. Looks to come out on 360 March 2010. Ps3 Simultaneously? Is Square focusing on the 360 or the PS3 release in America? It’s hard to say. Why wouldn’t they announce a solid PS3 window?